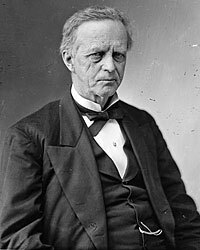 Illinois Senator (Democrat, then Republican, 1855-73) Lyman Trumbull grew estranged from President Lincoln at the outset of the Civil War. Trumbull pushed for stronger Confiscation Acts than Mr. Lincoln liked, but the President approved of Trumbull’s sponsorship of the Thirteenth Amendment that abolished slavery. There were softer moments in the relationship; Trumbull, for example, accompanied Senator Orville H. Browning, Robert Todd Lincoln and the President to the cemetery to bury Willie Lincoln in February 1862. Mr. Lincoln relied on Trumbull as one of his representatives in Washington in the period after his election in 1860 but they drifted apart once the President was inaugurated. The degree of disaffection is illustrated in a letter written from the White House by Mary Lincoln’s cousin, Elizabeth Grimsley in March 1861, “I have not seen Mrs. Trumbull—she sent me word she expected me to call, as that is etiquette, but I concluded in the present state of affairs, that as Mrs. Crittenden, McLean, Foster & various other senators wives had called specially to see me that Mrs. Trumbull might waive ceremony also, if she wished to see me. Trumbull is exceedingly unpopular here and particularly so with the conservative portion of the Republican party.”3 Trumbull also became involved in the manipulations surrounding Mr. Lincoln’s cabinet. 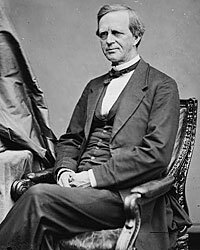 He supported fellow Illinoisan Norman Judd, with whom he was allied against the Leonard Swett- faction of the party. Since Judd had supported Trumbull in his election to the Senate in 1855, Mrs. Lincoln opposed Judd’s nomination. 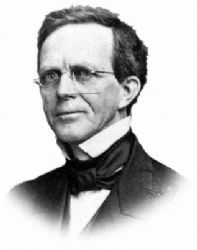 Both Judd and Trumbull strongly and unsuccessfully opposed the inclusion of Pennsylvania Senator Simon Cameron in the cabinet. Under President Johnson, Trumbull moved away from Radical Republicans and favored less stringent Reconstruction policies. 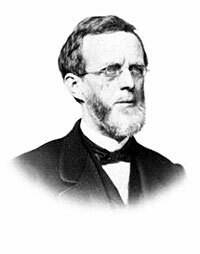 He supported Horace Greeley for President in 1872. In 1880 he came full circle and ran for Governor of Illinois as a Democrat. Trumbull also served as Illinois Secretary of State and State Supreme Court judge. 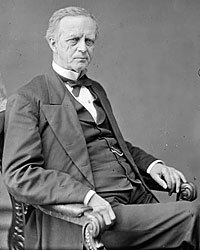 In 1860 Trumbull sought reelection to the Senate rather than fight Lincoln for the support of the Illinois delegation for President. Allan G. Bogue, The Earnest Men: Republicans of the Civil War Senate, p. 41. James G. Blaine, Twenty Years of Congressman from Lincoln to Garfield, Volume I, p. 319. Harry E. Pratt, editor, Concerning Mr. Lincoln, p. 75. Mark M. Krug, Lyman Trumbull: Conservative Radical, pp. 169-170. Krug, Lyman Trumbull: Conservative Radical, p. 170. Krug, Lyman Trumbull: Conservative Radical, p. 225. George H. Mayer, The Republican Party, 1854-1964 , pp. 94-95. Krug, Lyman Trumbull: Conservative Radical, p. 201. Horace White, Life of Lyman Trumbull, p. 218 (Letter from Trumbull himself to H. G. McPike, February. 6, 1864). Krug, Lyman Trumbull: Conservative Radical, pp. 219-220. Michael Burlingame, Abraham Lincoln: A Life, Volume I, p. 405.